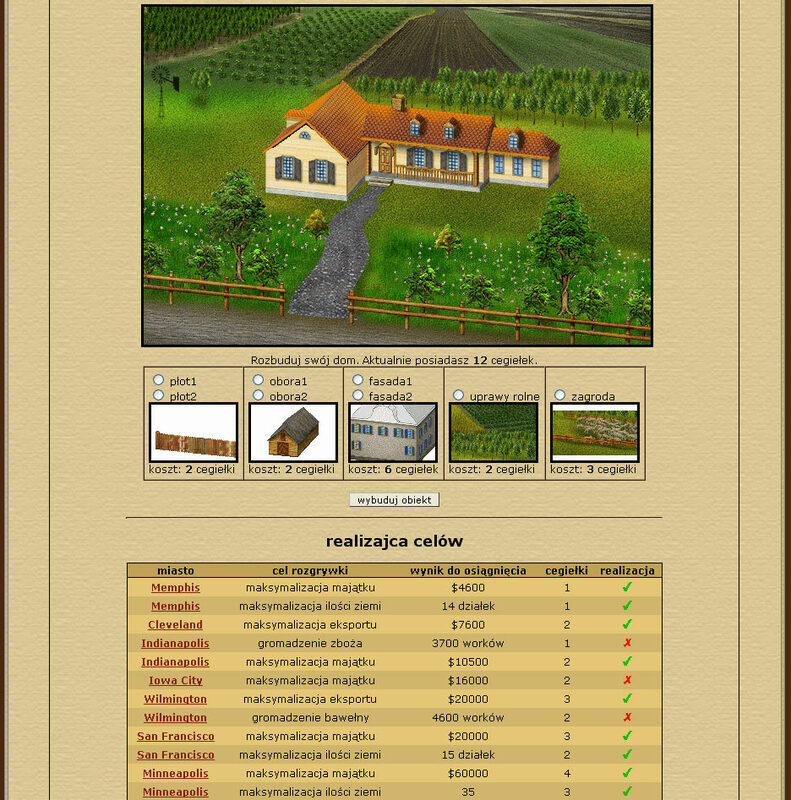 Farmersi is a turn-based multiplayer economic game operated by web browser. Players manage their virtual farms in the Wild West - they grow crops, raise cattle and make investments. With the same initial conditions they try to develop their farms better and have higher profits than their opponents.